At GDC 2019, Valve presented interesting ideas concerning brain computer interfaces and their integration into VR headsets in the future. However, while the talk by Valve’s Principal Experimental Psychologist, Mike Ambinder, was fascinating, I feel that Valve in general have been dragging their knuckles on their virtual reality projects. When are we going to see actual VR games or hardware from the Bellevue company? For a while, we've been hearing rumors that Valve might introduce their own VR headset, while the Knuckles controllers have been promoted from prototype to dev kit devices. However, there's still no official release date. The Bellevue company has also mercilessly teased us with a virtual reality version of their Half-Life VR franchise, by dropping hints in other Valve titles, such as DOTA 2. Gabe Newell himself also responded to emails from concerned fans, confirming that the three Valve VR games promised in 2017 (one of which could be Half-Life VR) are still in the works. However, no promotional artwork, no trailers or anything tangible about them has materialized yet. Meanwhile, Valve recently laid off 13 full time employees and an undisclosed number of contractors, some of which were working on virtual reality projects. And although in recent emails Newell confirmed that his company has not given up on VR, it's hard not to be frustrated when seemingly no progress has been made. Of course, those among you that are fans of Valve will be familiar with the concept of Valve Time. Things often don't get delivered very quickly, but when they do, they are usually worth the wait. Usually. Yet, I feel when it comes to virtual reality, Valve doesn't have time to waste. They've been working on VR with HTC since 2016. A year before the now infamous three VR titles were mentioned in during a Valve media roundtable. What games have been released by the Bellevue company since? The Lab - a short free-to-play game/experience "set in a pocket universe within Aperture Science." That's it. Portal Stories VR also exists, but it's an unofficial virtual reality mod by Prism Game Studios. Valve had no involvement in its development. As a DOTA 2 fan, I also have to mention the forgotten VR Hub for that game. It allowed you to watch DOTA 2 games in virtual reality. When it was first released, it was great - watching the intense action and bursts of color in first person definitely made esports tournaments even more exciting. However, the feature has seen little to no updates. It seems that it never got the functionality allowing you to spectate friends' games, which was highly requested on forums. And now, the DOTA 2 VR Hub might have been completely abandoned. Multiple Reddit and Viveport forum posts claim that it does not work, with Vive staff suggesting it might have been broken by a December 2018 SteamVR update, which introduced motion smoothing. One disgruntled fan shares: "A dev gets excited and makes something cool only to have it abandoned shortly after." It's not hard to agree with them, if you've been following DOTA 2's development. Don't get me wrong, I love the game and I think it's great, but multiple features and so-called annual events have quietly disappeared over the years, with little or no comments from Valve on the matter. Guilds are gone, hero MMR is not a thing, there's no Greeviling or Diretide (there are other seasonal events but in my opinion they don't compare). It's representative of the company's attitude towards other projects as well. This is why I am also skeptical when it comes to Valve's involvement in virtual reality, whether it's hardware or software. 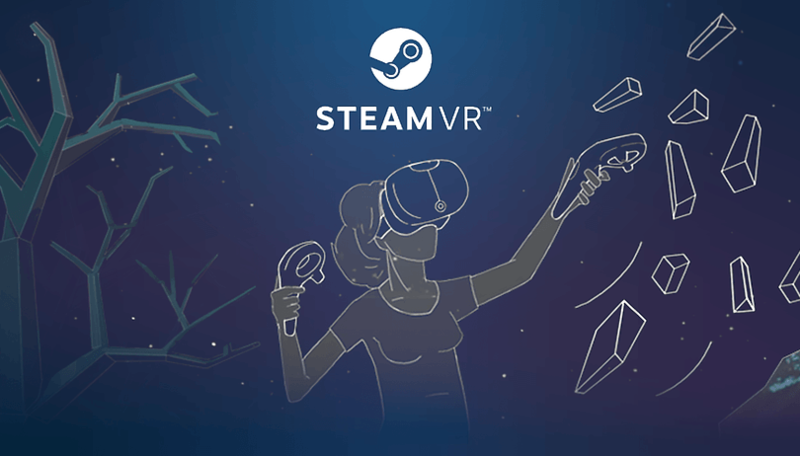 I'm sure the Knuckles will arrive eventually, but VR in general isn't gaining wider appeal despite upticks in numbers seen on Valve's own platform Steam. If the Bellevue company doesn't act now, it can potentially miss the opportunity to create a smash PC VR hit with the continuation of the Half-Life franchise. Who knows what the state of virtual reality will be in a couple of years? At the moment, the trend is heading toward standalone headsets like the Oculus Quest, which use their own stores and platforms. HTC themselves are putting major efforts into transforming Viveport Infinity into the Netflix of VR. This is why I think that if the three titles in the works are delayed by another couple of years (maybe Valve's inability to count to 3 is delaying them), they might miss the hype train or not be available on the most popular headsets... Unless Valve actually decides to release their own PC VR headset. It's also why I was rather disappointed with the Bellevue company's GDC 2019 presentation. Brain-computer interfaces that would require actual implants, are very much far-fetched at present, despite claims to the contrary. And of course, you'd need to actually get people on board with the idea. Most don't even trust a smart speaker in their homes, not to mention a literal chip in their head. Even brain-computer interfaces that do not require implants and the technology for which already exists, need time for development and improvement. So, while the ideas presented by Valve might be fascinating, I would have been much happier to see a Half-Life VR trailer. I would never agree to a brain-computer interface implant even if it meant getting a free copy of Half-Life 3 VR. This is why I think Valve needs to step up its game, unless it wants another Artifact flop on its hands. The need for more VR games is urgent! Indies are holding their own in the virtual realm, but a quality game from a triple A studio like Valve could be a game changer. What do you think about Valve and its virtual reality games and hardware? Do you think they'll see the light of day soon? Let us know in the comments. I think the rush to VR is still premature.